This morning I went with some of my family to the Spice of Life Food & Fitness Festival at the convention center in Greenville. I was expecting one of those kinds of festivals where you pay money to get in and then pay more money if you want something one of the vendors is offering, but was pleasantly surprised to find actual free things. 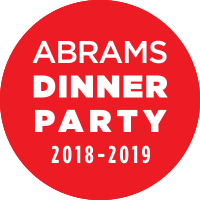 The best offering of all was a free cooking school (hour-long sessions) offered by the Culinary Institute of the Carolinas. The topic in the time period I was going to be there? 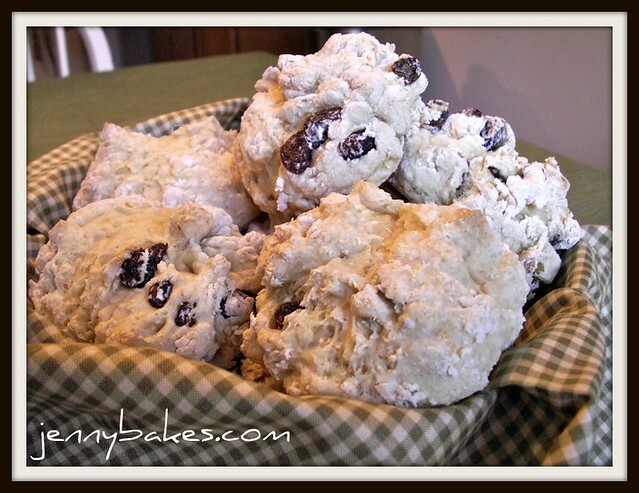 "Healthy Baking Recipes and Decorating Ideas." They were set up to have 20 audience members do hands-on and the rest could just watch, so I plopped down 20 minutes before to make sure I'd get to play along! 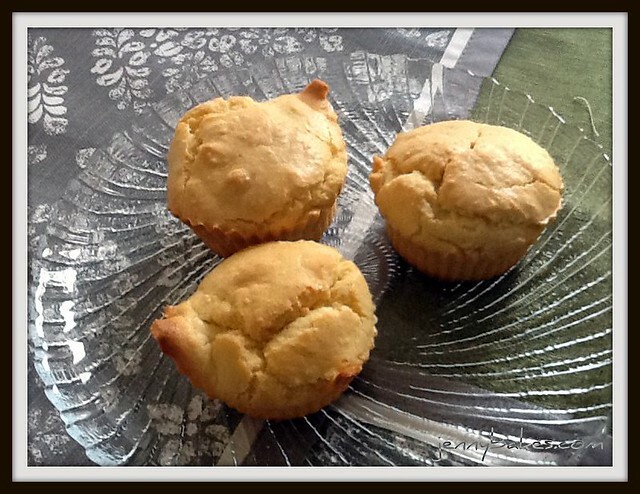 Chef Alan walked us through how to make a baked good recipe healthier, whether that meant making it vegan, low-fat, gluten-free, or wheat-free. I also asked him about decreasing the sugar, but he hadn't really prepared to answer that question. He said we could e-mail him, haha... I plan to! 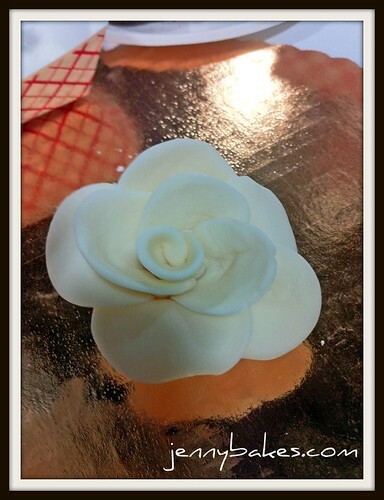 The second half of class included learning how to make a rose out of fondant. Now, I've tried making my own marshmallow fondant before, but hadn't ever played with official fondant. The chef also directed us to a local cake supplier that I had no idea existed - CakeSupplies4U.com. Not the greatest name, but it means I can make an order and pick it up in town! That's worth the entire price of admission to the festival in itself. My rose is not the greatest; clearly I needed slightly smaller fondant marbles and to roll everything tighter, but I took home my bag of leftover fondant to practice on. Apparently the same technique is used with gum paste as fondant, it is just that gum paste dries more quickly. I don't think it is so outside my abilities to learn more about this, so that will be fun. Honestly I wish I could go through the Culinary Institute of the Carolinas' pastry certificate but last time I checked I'd have to go to class during the day, and well, I have a job. But sessions like this get me itchy!! The other part of the decorating was to teach very basic cake decorating strokes like stars and shells. Since I spent several months as a cake decorator, I didn't learn anything new there, but it is always good to force my brain to do the reverse shells thing since it takes a while to kick it into the right gear. If you are in Greenville, SC, and read this before Sunday the 18th, this session will repeat tomorrow at 11:30. You should go! 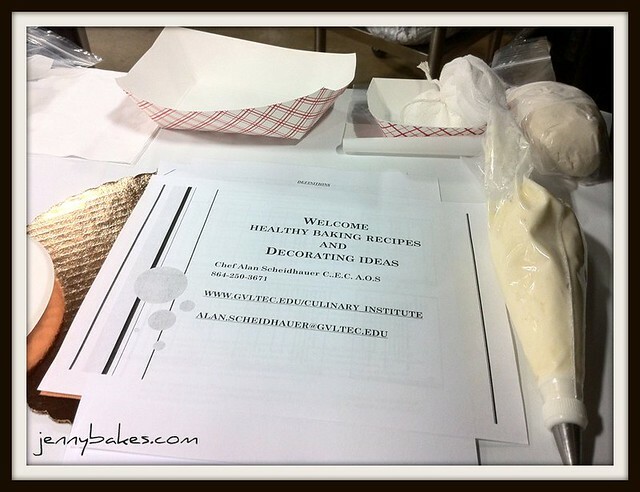 It was fun for me, and I look forward to trying some of the recipes that were handed out for alternative baking. The way the recipes are written, it would be easy to make a standard recipe and then try again with all the versions for comparison. I might do that on this blog someday; it could be very educational for me! I've mentioned that we are eating differently in my house. Suddenly it was pi day (3.14) and I HAD to bake something. I Skyped my husband and announced that today (yesterday) was the day I would be attempting a cheesecake with Splenda in place of sugar. He got to pick the flavor, and he picked coffee. 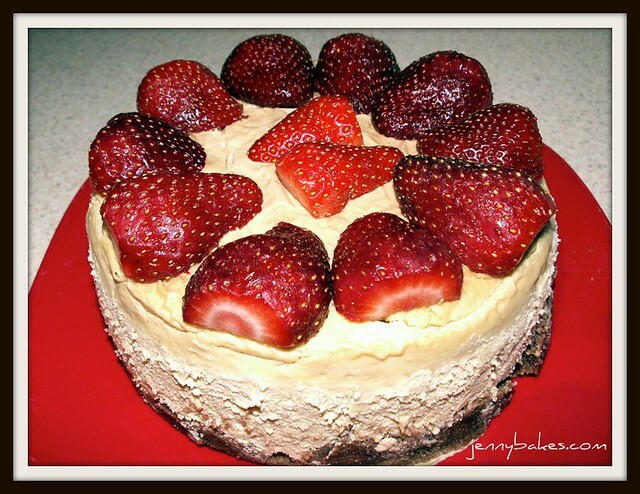 I found a low carb cheesecake nut crust recipe and made the chocolate variety, and topped it with a coffee version of Abbey's (In)famous Cheesecake (the Daring Bakers challenge I hosted), just replacing out sugar for splenda. The recipe had no flour, so I didn't need to replace any of that. I made itty bitty ones in a mini cupcake pan, and a 6 incher. I tried one of the itty bitties before it had chilled overnight and was sorely disappointed - the texture seemed gummy and the tinny taste of the Splenda sang out more than the coffee. I was bummed. Tonight I decided I would defeat it with fresh strawberries; luckily the overnight chill in the fridge really makes an incredible texture difference. So it was creamy but still a bit tinny. I wish I had tricks to overcome that particular nasty aspect of Splenda. It doesn't bother me in coffee, but I notice it in pop (soda) and in this. Maybe it is a hot vs. cold thing? I'm not really providing an official recipe since I just kind of adapted things. I also insist on calling it lower carb rather than low, because nuts still have carbs, but really that is the only source in the entire recipe. Oh yeah and the strawberries but at least they are a real food! Hamantaschen translates to "Haman's pockets. "It has to do with the Jewish holiday of Purim, based on a story int he book of Esther, and I will not attempt to explain it here. I just don't know enough. But we should be nomming on these and stealing from Haman's pockets, because he was an evil evil man. I had some prune lekvar and some pastry dough leftover from making rugelach, so I made hamantaschen! According to Wikipedia, one should drink on Purim until he can no longer distinguish between the phrases arur Haman ("Cursed is Haman") and baruch Mordechai ("Blessed is Mordecai"). Sounds like a fun holiday to me! I was aware of the Tuesdays with Dorie group, that baked their way through Baking: From My Home to Yours for several years. They were always on my periphery, making delicious recipes at what seemed like a crazy pace. Then I missed the bloggers working their way through the Bread Baker's Apprentice, and would have liked to join in but it seemed beside the point to jump in partly through. So when I heard that TWD was going to do another round, this time working with the book Baking with Julia, I knew I'd want to join. Then I decided to start limiting my sugar consumption. I thought maybe I wouldn't do this after all, but then saw that they would only do two recipes a week, and you only had to do one a month to be involved. Well. I can do that kind of pace. And maybe a little taste, then HURRY UP GIVE THE REST AWAY. Ahem. 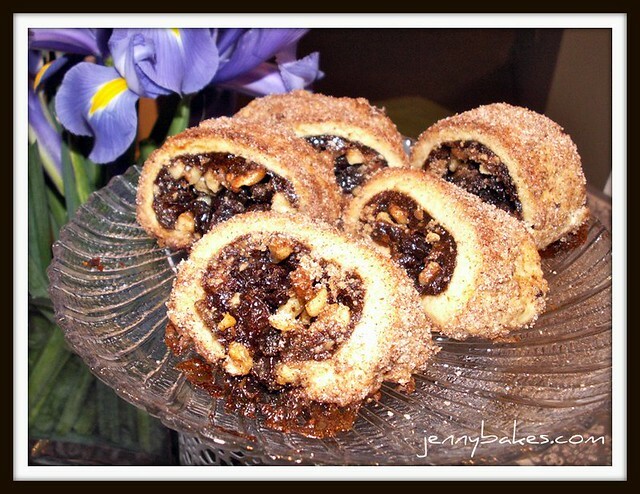 This week's recipe is rugelach! 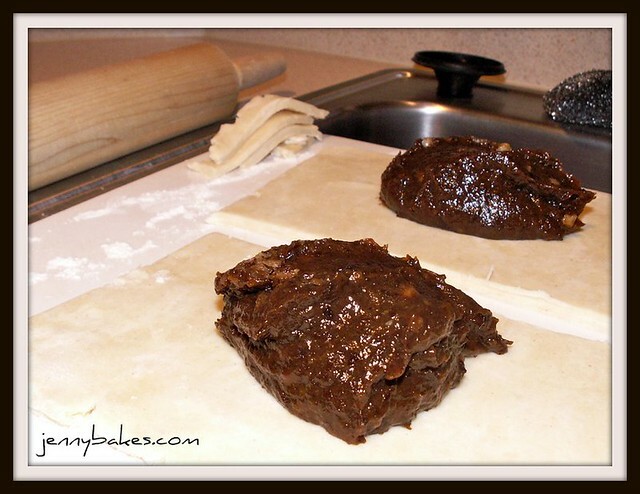 I had tried a rugelach recipe in the past, and tried making it chocolate, and just remember not liking it much. It must have either been unlikable enough that I never blogged it, or BJB (Before Jenny Bakes), as it is not in my blog! I was eager to redeem myself. 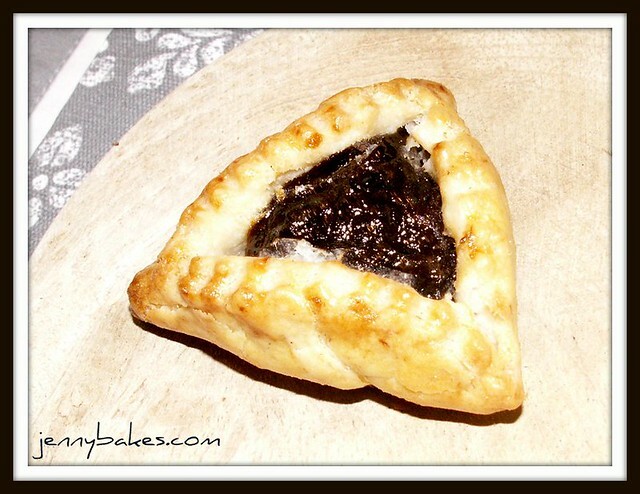 In Baking with Julia, it recommends that you use a homemade apricot or prune lekvar. As I'd made rugelach before, I wanted to have a bit more of a challenge, so I did make the lekvar from scratch. It was easy, and much thicker and more substantial than a jar of jam would have been, more like a fruit butter. I posted that I was making lekvar on my Facebook wall, and some people assumed I was making hamantaschen. It turns out that Purim falls on Wednesday this week, but it did not happen to be on my radar since I'm not Jewish. I often find this happens, that I accidentally make desserts appropriate for other people's religious holidays. I always seem to make something creamy around February 2nd too (look that one up if you'd like, haha!). I used one of those little scraps in the corner to make one hamantaschen, but I will wait to post that picture until Wednesday. My rugelach was quite stuffed, so much that I barely got the end tucked under itself to roll it. Were I to make it again, and I might, since this was a light flaky pastry with many delicious flavors inside, I'd roll the dough thinner, or maybe try the crescent shape I've seen in other recipes. 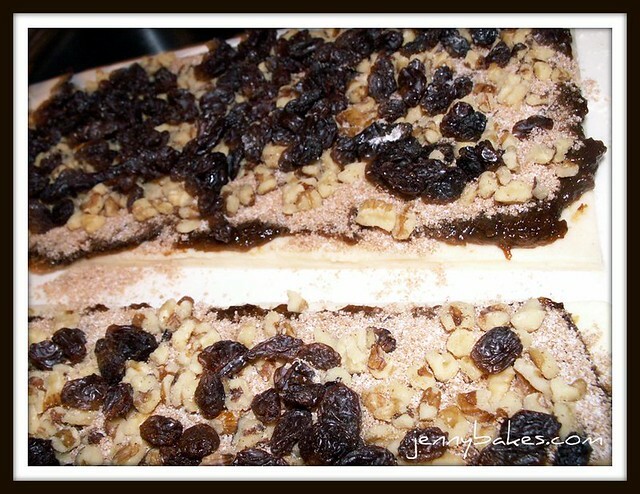 First the prune lekvar was spread on the dough, then the cinnamon-sugar mixture, then raisins and walnuts. I went very traditional with this recipe, since I like to do that before experimenting. One of the best parts of the TWD challenge is that everyone owns the cookbook. Baking with Julia is a baker's staple, one of 3-4 I think every person interested in baking should own. You can buy a copy here, and join in on the challenge over at TWD! Hey, you can bake savory things too! Lately we are eating tofu at least once a week, and it usually takes the form of baked squares like this. My basic technique is to press the tofu (paper towels on top and bottom, plates on both sides, heavy items on top, let sit for 30-60 minutes), cut it lengthwise through the middle and then width-wise into equal sized squares, and marinate it in whatever liquid I'm flavoring the tofu with. In a pinch I might use something bottled (barbecue sauce can be tasty, for instance), but it doesn't take much time to whip up a marinade. 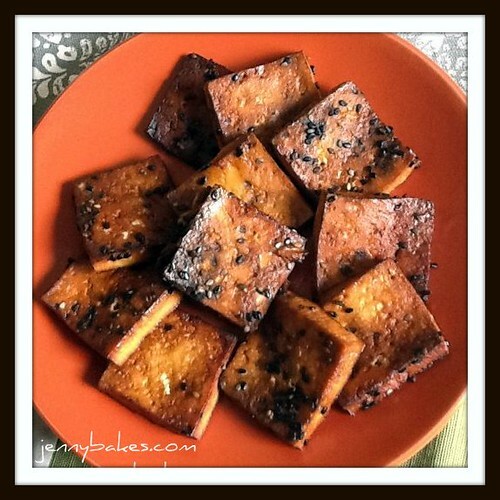 I made this recipe for Baked Ginger Soy Tofu Squares from the Garden of Eating blog a month or so ago, and it was tasty! I don't necessarily follow the recipe exactly, just use what I happen to have on hand. I'll post what I DID, but please follow the link to the original because it is surely tasty too. One note - I would use tamari or low sodium soy sauce. The first time around I used tamari, but this time I used regular soy and it was WAY too salty. I also bake mine at least twice as long as she recommends, because I like my tofu chewy and caramelizing on the corners! 1. Drain and rinse the block of tofu and cut into squares (see narrative above). 2. Meanwhile, make the marinade. Combine the soy sauce, oil, garlic, jam, hot sauce, and sesame seeds and stir well to make sure the jam is dissolved. 3. Put the cut tofu in a 9x13 pan, cover with marinade, and let sit for 30 minutes. Flip the tofu once and let marinate 30 more minutes, flipping once more before baking. 4. Pre-heat your oven to 350-degrees. Bake in the same pan for 20 minutes, flip squares, and bake 20 minutes longer. If you like them softer, you can try doing 10 and 10, but you can probably bake as long as an hour if you like them chewy and a little crispy on the edges. Baked tofu is one of those dishes that can be enjoyed hot or cold. Try it with rice, greens, salad, or even in a sandwich.